Gospel vocalist Rhonda Mclemore has released a new single produced and co-written by B.Slade. 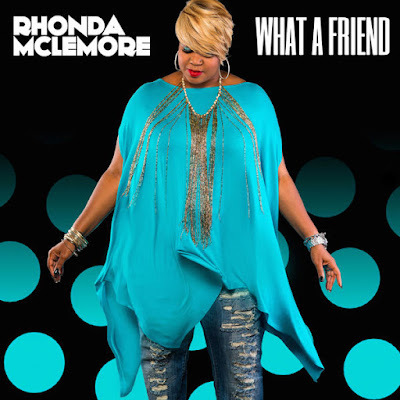 "What A Friend", co-written by Rhonda, along with her husband Shawn and featuring Jamey Arent on guitar, showcases Rhonda's well-known vocals over a slinky track and impeccable vocal arrangements along with a hot 16 bars from B.Slade. wherever all fine digital music is sold!